From weather modeling to genome mapping to the search for extraterrestrial intelligence, HPC has always been about solving the world’s most complex problems. HPC has primarily been an on-premises business, and engineers and researchers working on these HPC applications have always been constrained by infrastructure capacity available on-premises - often limiting their exploration of potential solutions to the constraints of available infrastructure capacity. High Performance Computing on AWS enables engineers, analysts, and researchers to think beyond the limitations of on-premises HPC infrastructure. AWS HPC solutions address the infrastructure capacity, secure global collaboration, technology obsolescence, and capital expenditure constraints associated with on-premises HPC clusters to give you the freedom to tackle the most challenging HPC workloads and get to your results faster. This short video helps explain the benefits of running your High Performance Computing cluster jobs on Amazon Web Services. This short video helps explain the benefits of running your High Performance Computing cluster jobs on Amazon Web Services. Instantly launch or scale up High Performance Computing clusters on AWS. By eliminating job queue times and scaling your cluster as large as needed, when needed, you can reduce the time to market or publication. Focus on applications and research output over infrastructure maintenance and upgrades. When AWS upgrades hardware, you can gain access instantaneously — simply rewrite your cluster configuration file and reboot to move to the latest hardware. Let your research dictate infrastructure, not the other way around. With the flexible configuration options AWS provides, you can start with your hypothesis and create HPC clusters that are optimized for your unique application requirements – GPU today, CPU tomorrow. In addition to core service options for compute, storage, and databases, take advantage of the breadth of services and partners in the AWS ecosystem to enhance your workload. Options range from familiar solutions like NICE and Thinkbox to experimental builds with AWS Lambda. Collaborate without compromising on security. Every AWS service provides encryption and options to grant granular permissions for each user while maintaining the ability to share data across approved users. Build solutions compliant with HIPAA, FISMA, FedRAMP, PCI, and more. Let every dollar contribute meaningfully to your mission. Choose from a range of AWS services and only pay for what you use. No more paying for idle compute capacity, no long-term contracts, and no complex licensing involved. Optimize costs further with Amazon EC2 Spot Instances. ZeroLight used AWS GPU instances to build an award-winning 3D car configuration tool to create a totally new, interactive user experience for customers on the showroom floor to select and configure their next automobile. High Performance Computing workloads on AWS are run on virtual servers, known as instances, enabled by Amazon Elastic Compute Cloud (Amazon EC2). Amazon EC2 provides secure, resizable compute capacity in the cloud and is offered in a wide range of instance types so you can choose one optimized for your workload. C5n instances provide up to 100 Gbps of network bandwidth and up to 14 Gbps of dedicated bandwidth to Amazon EBS. C5n instances also feature an over 30% larger memory footprint compared to C5 instances. Available with Amazon AppStream 2.0, a fully managed application streaming service allowing pre and post-processing of HPC workloads. Deliver HPC visualization applications to large groups of users on any desktop with an HTML5 browser. Utilized by Amazon WorkSpaces Graphics bundles which enables GPU-accelerated virtual Windows desktops in the cloud. WorkSpaces Graphics bundles are designed for engineers and 3D application developers to use as an alternative to expensive graphics-capable workstations. High Performance Computing workload management gains new levels of flexibility in the cloud, making resource and job orchestration an important consideration for your workload. AWS provides a range of solutions for workload orchestration: fully-managed services enable you to focus more on job requests and output over provisioning, configuring and optimizing the cluster and job scheduler, while self-managed solutions enable you to configure and maintain cloud-native clusters yourself, leveraging traditional job schedulers to use on AWS or in hybrid scenarios. AWS Batch AWS Batch is a fully-managed service that enables you to easily run large-scale compute workloads on the cloud without having to worry about resource provisioning or managing schedulers. Interact with AWS Batch via the web console, AWS CLI, or SDKs. AWS Lambda Run code without provisioning or managing servers, paying only for the compute time you consume. Define short-duration functions written in a number of languages and allow Lambda to manage execution at scale. AWS Step Functions A fully-managed service that makes it easy to coordinate the components of distributed applications and microservices using visual workflows. AWS ParallelCluster AWS ParallelCluster is a fully supported and maintained open source cluster management tool that makes it easy for scientists, researchers, and IT administrators to deploy and manage HPC clusters in the AWS cloud. EnginFrame HPC portal integrated with a wide range of open source and commercial batch scheduling systems. One-stop-shop for job submission, control and data management. AWS provides several options for storage, ranging from file systems attached to an EC2 instance to high performance object storage. Most HPC applications require shared access to data from multiple EC2 instances via a file system interface. AWS provides a native, scale-out shared file storage service (Amazon EFS) that provides a file system interface and file system semantics. HPC applications can also use AWS’ block storage offerings, either Amazon EBS or EC2 instance store, for general purpose working storage. Amazon S3 and Glacier provides low-cost storage options for long-term storage of large data sets. The AWS network is designed for scale. Whether your application requires thousands of cores for one tightly-coupled workload, hundreds-of-thousands of cores for embarrassingly-parallel, high-throughput computing (HTC) applications, or a mixture of both, the AWS network offers performance (high bandwidth, low latency) and scalability. AWS optimizes and custom builds hardware specifically for AWS infrastructure. Cut-through routing combined with AWS large scale means even the biggest customers see consistent latency and high bandwidth when using the most challenging application communication patterns. Cluster Placement Groups are logical groupings or clusters of instances in the selected AWS region. Elastic Network Adapter (ENA) is a custom network interface optimized to deliver high throughput and packet per second (PPS) performance. Elastic Fabric Adapter (EFA) is a network interface for Amazon EC2 instances that enables customers to run HPC applications requiring high levels of inter-instance communications, like computational fluid dynamics, weather modeling, and reservoir simulation, at scale on AWS. With EFA, HPC applications using popular HPC technologies like Message Passing Interface (MPI) can scale to thousands of CPU cores. From preparing simulation input data to interpreting computing job outputs, high performance graphics tasks are part of many HPC workloads. AWS offers several products to improve the performance, cost and flexibility of running OpenGL, Direct/X and other graphics applications. You can accelerate graphics performance by using the GPU-powered G2 and G3 instances or Elastic GPU, and stream Windows graphics with AppStream 2.0, WorkSpaces, or NICE DCV. If you prefer a Linux-based graphics platform, combining the streaming performance of NICE DCV and the EnginFrame HPC portal can deliver end-to-end workflows to end users across on-premises, hybrid cloud, or full-AWS configurations. 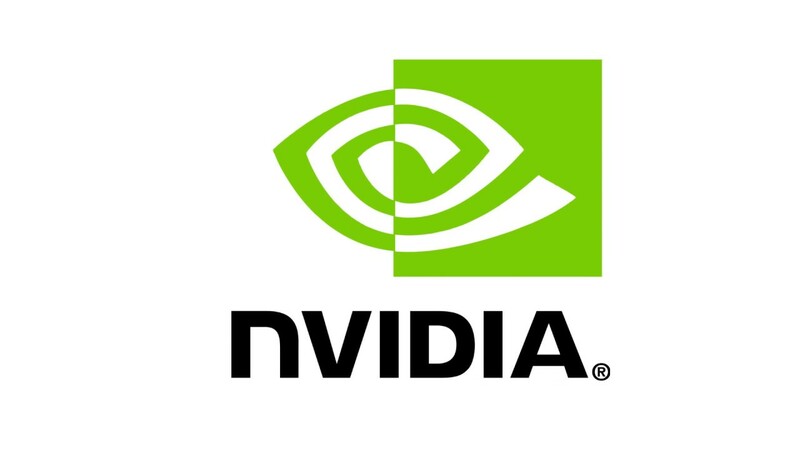 Capable of running a variety of graphics workloads, such as 3D modeling and rendering, with similar workstation performance compared to direct-attached GPUs. Amazon Workspaces A fully managed, secure Desktop-as-a-Service (DaaS) solution which runs on AWS. WorkSpaces includes GPU-accelerated bundles, which supports engineering, design, and architectural applications while providing the benefits of security, economics, flexibility, and agility in the cloud. There are three main ways to pay for your compute capacity on Amazon EC2: On-Demand, Reserved Instances, and Spot Instances. On Demand Instances With On-Demand instances, you pay for compute capacity by the hour with no long-term commitments or upfront payments. You can increase or decrease your compute capacity depending on the demands of your application and only pay the specified hourly rate for the instances you use. Reserved Instances Reserved Instances provide you with a significant discount (up to 75%) compared to On-Demand instance pricing. In addition, when Reserved Instances are assigned to a specific Availability Zone, they provide a capacity reservation, giving you additional confidence in your ability to launch instances when you need them. AWS Partners provide professional services or software solutions to enable workloads on AWS. Browse our selection of featured partners and learn more. Sign up for an account and launch a sample HPC workload today. Your account will be within the AWS Free Tier, which enables you to gain free, hands-on experience with the AWS platform, products, and services. Experiment and learn with step-by-step tutorials, whitepapers, videos, SDKs, and more. Build your HPC production solution quickly and easily once you're ready.